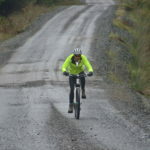 A Taynuilt crofter returned to her roots when she raced at Kintyre Wheelers Cycling Club’s (KWCC) September time trial. Emma Smith, who spent some of her formative years in Tayinloan, said returning to Kintyre for last Sunday’s event was quite emotional. 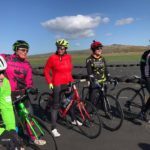 Ms Smith was one of four newcomers at the monthly race on Machrihanish’s former airbase. 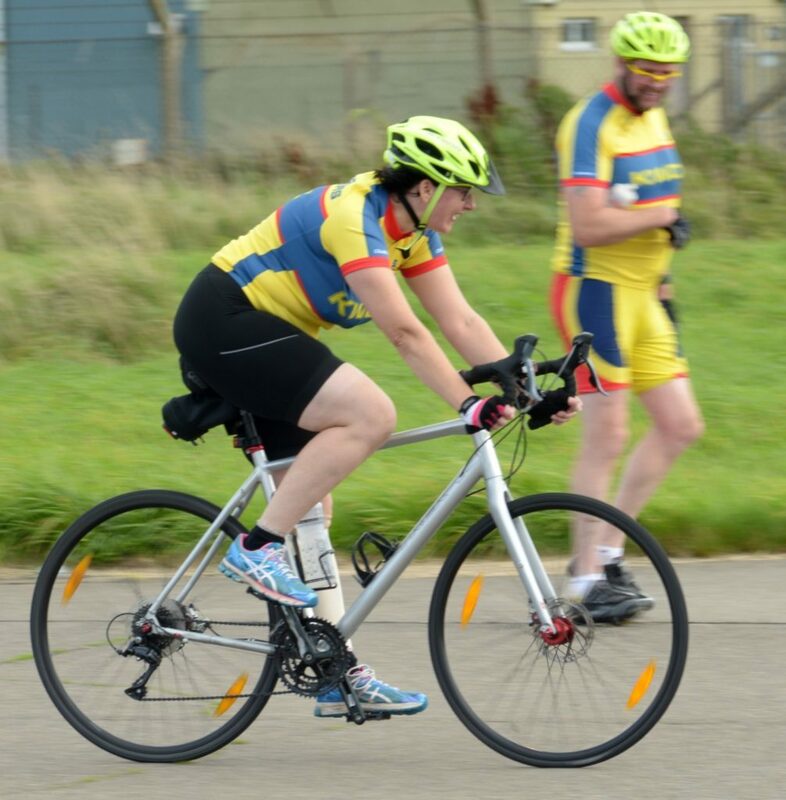 The other three who added ‘marks’ to the 10 mile, two wheeled, race against the clock were: Lynsay McGeachy, Jackie Westerman and Mark Davey. 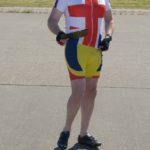 In total 16 riders, of mixed abilities, competed in a pleasant 17ºC air temperature with a wind strength of between 6mph and 12mph although all were sure at times it was far higher. KWCC organiser Robbie Semple reversed the route, from the August event, to go anti-clockwise which was ideal as only about a-quarter-of-a-mile was full into the wind. The rest of the route had a mix of cross winds and a tail wind on the long main runway straight. On a virtually pan flat course unlike most road time trials there is no assistance from descents. Since the last event a 10 mile guide to rider’s times has been produced. It is split into five sub-sections: 40 minutes plus, 35 minutes to 40 minutes, 30 to 35 minutes, sub-30 minutes and sub-26 minutes. With speed king Dom Sharkey competing elsewhere there was some competition for first place. Despite the route change there was only one sub-30. The full results were: 1 Ian Graham 29.24; 2 Alex Binnie 30.04; 3 Malcolm McFadden 30.54; 4=Alex Samborek and Robbie Semple 31.29; 5 Lynsay McGeachy 31.50; 6 Andy Gilchrist 31.59; 7 Sid Gallagher 32.07; 8 Brian Linfield 32.24; 9 Jennifer Reid 32.58; 10 Emma Smith 35.34; 11Mark Davey 36.00; 12 Catrina Semple 38.51; 13 Colin Stalker 39.47; 14 Margaret Sinclair 45.33; 15 Jackie Westerman 52.51. The next event is the cancelled Mid Argyll road time trial on Sunday September 16 at the MACPool.